We achieve this by delivering exactly what it says on the tin. 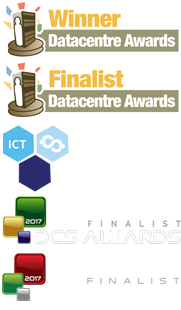 ‘No Nonsense, Desktop to Datacentre IT Services’. Currently supporting, through our Service Alliance, multiple global infrastructures encompassing thousands of systems within heterogeneous environments and with varying critical SLA requirements, Mavin’s Infrastructure Support Service is referenceable within some of the world’s leading organisations across most major business sectors. We specialise in the provision of bespoke Enterprise IT support and service sets which are designed to meet our client’s individual infrastructure requirements and uptime objectives. Mavins vendor accredited tech teams are populated with extremely competent and resourceful professional engineers. Very fast learners, with strong communication skills at all levels and are able to work effectively in most commercial IT environments. Reduce existing cost of hardware & software maintenance by up to 45% per annum. * Significantly increase current support efficiency levels, measured against a tangible SLA. Ask us about our unique Voucher based support and how this structure has successfully enabled existing clients to manage cost over deployment, increase operational efficiency and benefit from Mavins open engagement strategies. Mavin offers a flexible approach to contract services providing our clients with clear and co-operative engagement packages. Special Features and Service Enhancements are available throughout contract life, enabling greater efficiency and effectiveness across all IT Vendor platforms. Our Service Alliance teams possess extensive experience and consistency of personnel. Coupled with strong financial stability and dedicated professional staff, this provides our customers with the security they require from their long-term support partner. We take pride in our work and focus on developing long lasting relationships through delivering exceptional quality and value. Ask us about our unique Pay-As-You-Go Vouchers based support and how this structure has successfully enabled existing clients to manage costs over deployment, increase operational efficiency and benefit from Mavin’s open engagement strategies. Ask us about our Orphan System Report. If you need support for a system that has been accidentally missed off the contract, and roll in the Orphan System onto the contract, post service delivery. Standard contract support costs and certain conditions apply. For others please contact us. Mavin operates a number of managed Residency Service Contracts where our engineers work on-site or remotely as part of the customer’s own service delivery committments. Our range of Residency Services assist the customer with day-to-day operations from filling critical staff gaps to optimizing of processes, procedures and support with industry best practices. Mavin’s Residency Services Contracts deploy highly skilled, specialised professionals to address the customer’s critical information management and infrastructure needs. We operate teams of varying size and personnel who cover hardware, software, project management and the service desk. Mavin works closely with the customer to understand their pain points and resolve them. By gaining knowledge and experience of how the customer operates, we work in synergy with the customer’s own processes with a view to enhancing them and improving efficiency. For personalised, day-to-day customer support or to manage support activities across your infrastructure, Mavin also offers multiple on-site and remote Personalised Support Residency Services. These services help drive rapid issue resolution, strategic planning and improved storage availability and stability.